The first in a detective series that "immediately joins the No. 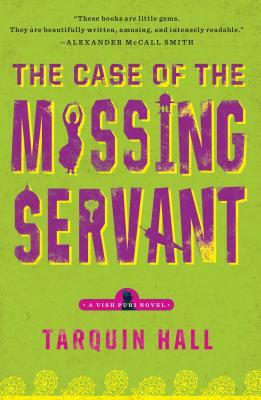 1 Ladies' Detective Agency as representing the best in international cozies" (Booklist, starred review). Meet Vish Puri, India's most private investigator. Portly, persistent, and unmistakably Punjabi, he cuts a determined swath through modern India's swindlers, cheats, and murderers. In hot and dusty Delhi, where call centers and malls are changing the ancient fabric of Indian life, Puri's main work comes from screening prospective marriage partners, a job once the preserve of aunties and family priests. But when an honest public litigator is accused of murdering his maidservant, it takes all of Puri's resources to investigate. With his team of undercover operatives--Tubelight, Flush, and Facecream--Puri combines modern techniques with principles of detection established in India more than two thousand years ago, and reveals modern India in all its seething complexity.